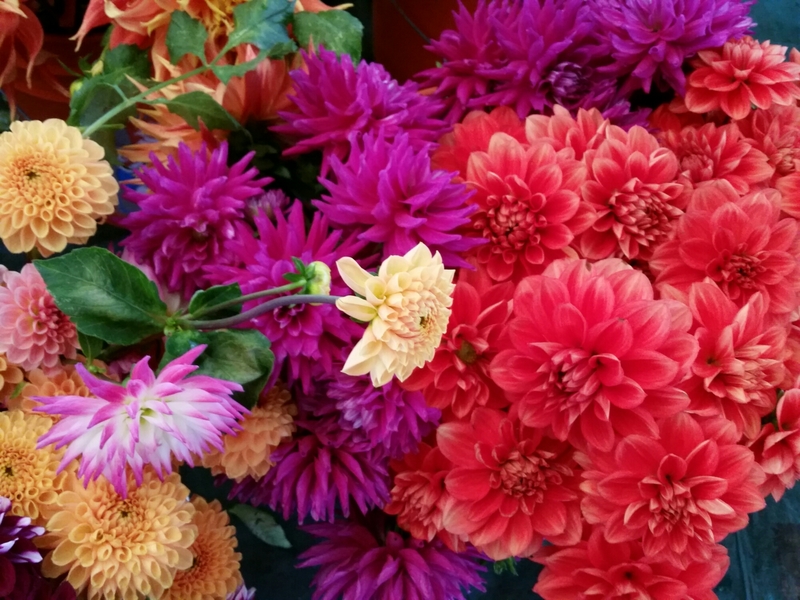 Last week for flowers today at the Lloyd Farmers Market! Today will be Xiong Farm’s last market of the season! Make sure and stop by to pick up one of their still-beautiful bouquets of fresh-picked flowers. It’s also the end of Udan Farm’s season – they will return in the spring. As the season changes, it’s important to preserve some creature comforts, so we have two ways for you to stay warm at the market today! 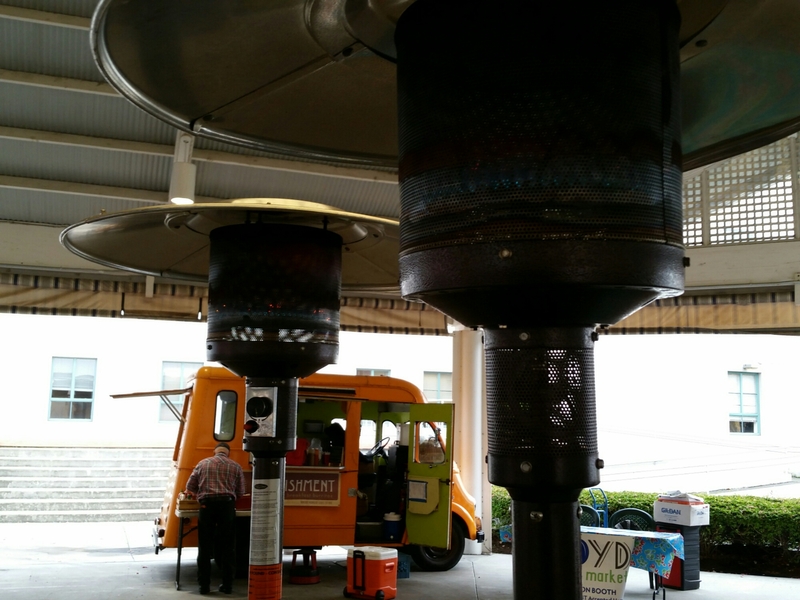 The first is our cafe-style space heaters, making their first appearance of the season today (see picture below). 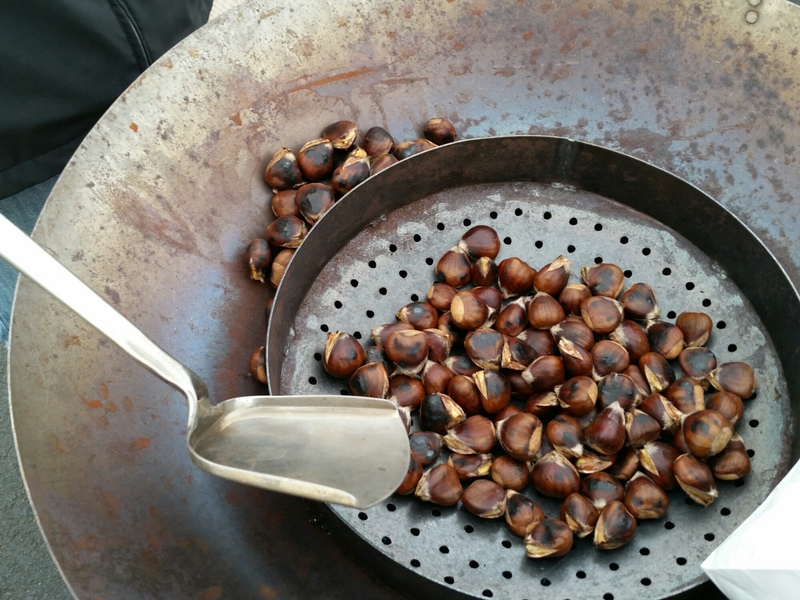 For the second, Bill from Nature’s Wild Harvest is roasting chestnuts at the market! Stop by and try some of this delicious autumn treat! Sweetheart Bake Shop is out today for a well-deserved vacation; they will return next week. See below for more photos and a full list of vendors here today. 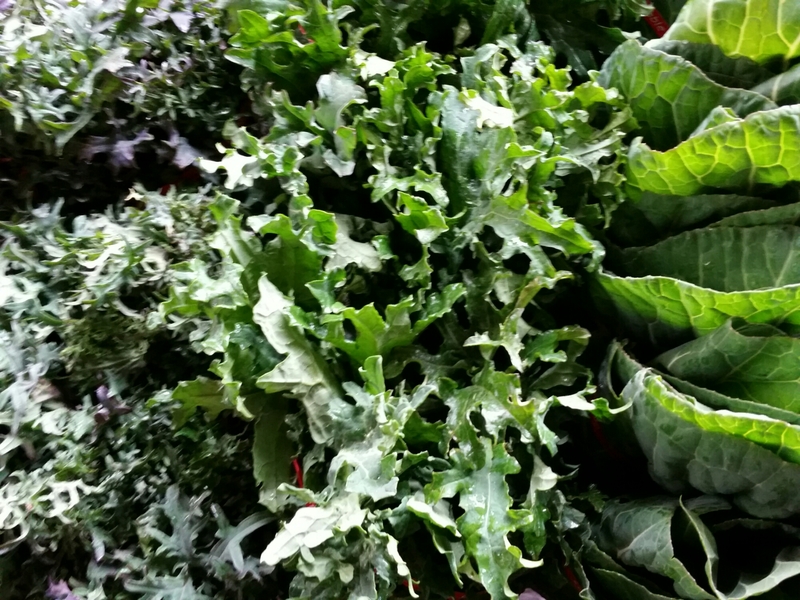 Udan Farm – produce, including lots of beautiful greens, herbs, and roots! 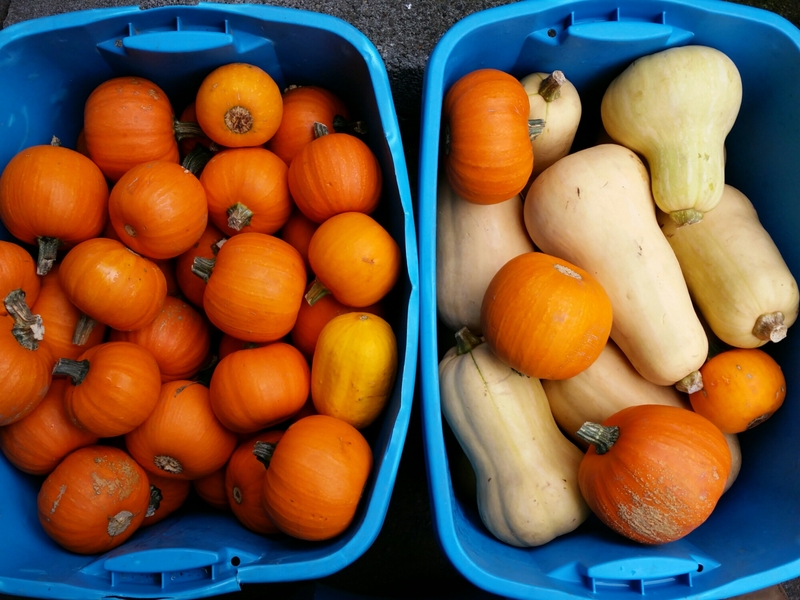 ← It’s November at the Lloyd Farmers Market!